I am an artist, though an extremely incongruent one. It has been my passion to create significant works of art in my lifetime; yet, I have been desecrating the greatest work of art known to mankind, the human body. I am no good to the art world sick, or, worse yet, dead. This addiction to mediocrity is about to change. 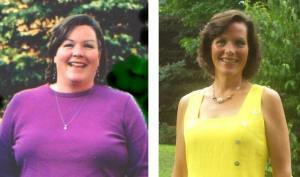 A week from today, July 10, 2008, I will embark on a journey of transformation. It will be the starting point I have chosen to begin to live again. Through this art exhibit I want to address the issue of gluttony head on; the violation, abuse, and desecration of a sacred masterpiece, the human body. I would never think of smearing mud on a masterpiece painting, yet I have desecrated my body each time I have polluted it with food that is detrimental to my health. It is no longer my desire to merely make significant works of art; I also want to be a significant work of art. My own obesity will be the point of departure from which this exhibit will evolve. What will happen to my body as I make wise food choices that support health? Will my art change as my body, health, and well being transform? Will my own transformation inspire in the viewer a desire to change his or her life in some way also? Just like a painter uses paint, or a sculptor uses metal, or a potter uses clay as mediums to form works of art, I will be following the nutritional wisdom in Dr. Joel Fuhrman's book, Eat to Live, and will use food to transform my body into the work of art that it was originally designed to be. I have chosen to adhere to Dr. Fuhrman’s guidelines because most doctors merely want to control cardiovascular and obesity related diseases with toxic drugs and surgery, and manage diabetes with medications and insulin; but he wants to eradicate these diseases altogether through excellent nutrition. Today I am a perfect prototype of the American obesity epidemic. Unfortunately, I am the perfect, desecrated work of art designed to begin this creative journey. For several years my weight fluctuated between 225 and 235 lbs, [height 5’8″]; tipping the scale at 238 pounds one time; and at that same time, my highest waist circumference was 51″. Obesity not only robs one of good health, but overall quality of life. 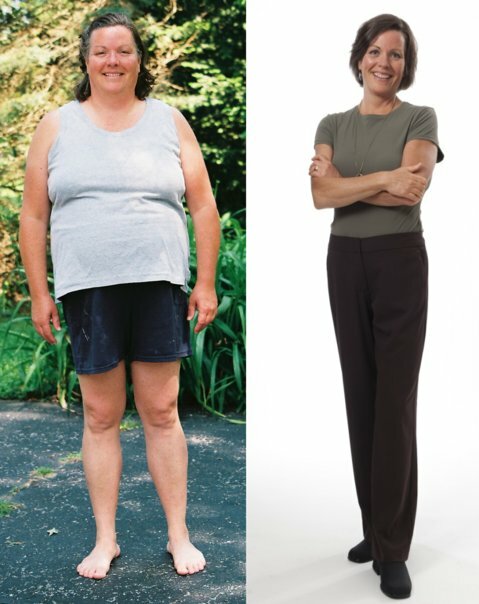 Unfortunately, it only takes a daily repetition of a few, unwise choices to send one into the deep abyss of obesity; but, thankfully, there is a way out of the deadly disease! July 10, 2008: Today, my fully clothed torso was wrapped in duct tape. Then it was cut off and stuffed with polyester filling, because I wanted a tangible way to record my body mass. I have eaten very well this past month. Previous to eating high-nutrient food, I was starving myself to obesity; I was consuming less than 500 points per day of nutrients based on the Aggregate Nutrient Density Index (ANDI) food scoring guide. Now I’m eating more than 3,000 points per day! I’m truly enjoying eating again, and my meals are free from calorie and exchange counting; weighing and measuring every morsel of food, and restrictive, chemical-laden diet foods. My energy level is up, because my body is finally well nourished for the first time in my life. It has only been one month, and I'm 20 pounds lighter! For the first time in my life I get to enjoy eating. One month of eating high-nutrient food and 20 lbs lighter! I’m excited today because even throughout a season of intense personal stress, my blood pressure dropped to 118/69! This past March, during a time of low stress, my blood pressure was up to 157/94. That was one of those scary “reality checks” that triggered me to start doing something about changing my lifestyle. I’ve been eating high-nutrient food for only six weeks now, and I’m feeling like a new person. Numbers don’t lie. I’ll post my weight and other stats on September 10th. Due to a family emergency beyond my control, I won’t be available to post an update of my health stats on September 10th; my apology for the inconvenience. Know that I’m delighted with my progress, and I’m achieving better health each day! On September 5th, in the early hours of the morning, I was fighting for the life of one of my children who required immediate medical attention at a children’s hospital in another state. In that critical moment, I had a pivotal decision to make--either stick with eating for health--or forget the whole thing and go back to my old way of eating high fat, low-nutrient, processed food. The rest is history. I put a cooler in the trunk of my car and literally dumped the fruits and vegetables from the refrigerator's produce drawer into it. Throughout the three weeks of living temporarily in another city, I was able to keep the cooler stocked with nutritious food on ice purchased from a grocery store near the hospital. From that experience, I learned that eating for health can be successfully achieved, in any situation, under any circumstance. Since I had repeatedly failed at trying to follow diets, I finally resigned myself to accept the many incremental changes I had to make in order to adjust to the burdensome handicap of obesity. Now, three months later, I realize how extremely misguided I was with those proven-to-fail diets, because my body was desperately craving nourishment! Below you will see my numbers, which are improving each month, but what you won’t be able to see are the vibrant colors and explosive cartwheels of joyous freedom that I'm experiencing within! Three months and 40 pounds lighter! "The more you eat green the more you get lean." I am amazed how well I feel these days. My blood pressure dropped further to 108/60, and I no longer have shortness of breath after climbing a flight of stairs. My weight loss slowed down this month, but I lost another inch around my waist. Recently, I ate a small slice of cheesecake and felt miserable afterward. My favorite food now is a blueberry and spinach smoothie. My taste buds have changed, and I’m literally transforming into the work of art that I was originally meant to be. I’ve been displaying my stats and pictures since starting Transformation on July 10th; and although I’m happy that my weight, blood pressure, BMI, cholesterol, and waist circumference have all dropped significantly, I’m most thrilled that now my body reacts to eating unhealthy food. This past month I ate what would be classified as a typical holiday indulgence for me: turkey, dinner rolls, butter, cheese, salad slathered in creamy dressing, pumpkin pie, Christmas cookies, and fudge. Several hours later, I got terribly sick, (and that’s putting it mildly). The pain inside my gut felt like a continual stabbing of sharp knives. After my body naturally expelled its contents and broke into a feverish sweat, I immediately felt fine. Dr. Fuhrman said that my body now reacts violently in order to protect itself when abused. For many years, I had abused my body with unwise food choices on a daily basis and didn’t even realize it. I had become accustomed to feeling blahhh . . . and didn’t feel well unless I was eating the toxic food of the Standard American Diet: high fat, high salt, low-nutrient, processed food. I would experience fatigue, brain fog, and shakiness if I didn’t eat right away. My body is now free from the addiction to toxic hunger! I’m happy about numbers dropping, clothes fitting, joints not aching, and even feeling youthful again, but freedom from the addiction to toxic hunger, and the general malaise that goes along with it, are the results that I’m most excited about! I’ve been rescued from chronic malnutrition that was leading me straight down a destructive path of unnecessary suffering and premature death. Six months ago today, I embarked on the most life-changing adventure of my life, and six months from today, on July 10, 2009, I’m confident that my blood tests will come back normal. Most importantly, I will have my health back! By God’s grace, diabetes, a nasty disease I hate with a passionate vengeance, will never be a part of my life. Ever. I’m thrilled to have lost two more inches of cumbersome “belly fat” this past month; even through a couple of birthday celebrations, a major ice-storm that totally disrupted life by knocking out most of Fort Wayne’s electrical power for several days and nights, Christmas and New Year’s gatherings, and the many holiday traditions centered around high fat, low-nutrient, processed food. I’m at peace after years of striving. I have finally found a simple and economical way of eating for health that works; even through life’s many unpredictable circumstances and changes. 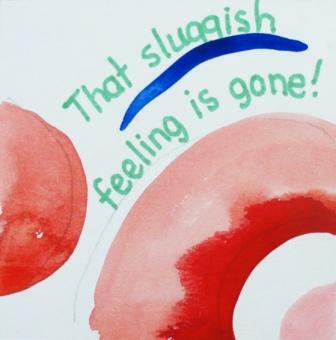 “I feel sluggish most of the time with a cloud of malaise overshadowing my energy, even after a good night’s rest. The bones and joints in my feet currently hurt. My knees ache. My feet, hands, and face are puffy. I could pass for looking eight or nine months pregnant. My lower back gets stiff and hurts after I sit for any length of time. I’m carrying around ninety or more extra pounds of fat on this frame; never a break from the burden unless I lie down. I carry this weight around every day — day in and day out. It is with me wherever I go. It’s no fun figuring out what to wear to a social event on a hot, sultry day. It’s hard to cover up my layers of fat, yet still feel cool at the same time. Black is my color of choice; it hides fat — at least psychologically. The color also traps in heat. I’ve fallen through a couple of canvas folding chairs while watching my kids’ soccer games. I can’t fit comfortably into the backseat of a two door car anymore. Camping in a tent feels crowded and tight. It’s not easy living in this obese body. My children don’t know an active mother who can hike, bike, and run races. My husband has learned to accept my many limitations. We’ve all adjusted to obesity, because we don’t know anything different. And, the saddest part is that I’m starting to feel comfortable with the pain and discomfort of this burdensome disease. Due to a major surgery that I’m scheduled to have on February 9th, and recovery time afterward, I will not be posting progress updates until April 10, 2009. Thanks for your patient understanding. I will be preparing and freezing blueberry/spinach smoothies, vegetable soup, and lentil stew so that I will be able to have plenty of nourishing food stocked up for the journey ahead. Making soup ahead of time for the recovery from surgery. FYI, I had to get my blood drawn to check iron levels for surgery proceedings, and when the nurse called with the results, she asked what I was doing to get such good iron levels. My number was way above most women’s normal range. Go life-giving foods! P.S. I now fit comfortably into size 14 pants; down from size 22 last summer. I’ve also broken through the 170-pound mark. I weighed in the 160s prior to starting a family more than 21 years ago. There is freedom in getting health back! Sincerest blessings of health and well-being to all! By the way, just to maintain 226 lbs, I had to eat a whopping 3700 calories a day! (As compared to only needing 1700 calories or less a day to maintain an ideal weight for my height). That’s nearly double the amount of calories and wear and tear on my digestive system, kidneys, liver, pancreas, circulatory system, and heart. In fact, I was so addicted to high fat, low-nutrient, processed foods that I didn’t feel well unless I was stuffed and bloated from eating toxic foods. No wonder I couldn’t sleep well through the night and would wake up every morning exhausted. My body is now thanking me. I won’t have access to my computer to post updates on April 10, so I’ll post some basic stats today. My waist circumference is down to 34″, (it was 50″ in July), BMI is 23.7 (down from 35), weight is 153 lbs (down from 226 lbs), fasting blood sugar is 85, and a recent blood pressure was 92/57. My blood pressure was 157/94 a year ago! I no longer wear plus size 22, and I now fit into size 10 pants with much ease. My oldest daughter took me shopping for a pretty dress. And, it wasn’t in a plus size store! I can now climb flights of stairs without shortness of breath, my knees and feet no longer ache, and I can comfortably ride a bike again. I want to keep eating healthy for the rest of my life; there is no turning back! My next goal will be to tone unused muscles. I’ll get my blood retested in late June so I can officially post my “after” health stats by July 10, 2009; the one year anniversary of Transformation. The above images are from a collection of 4″ x 4″ squares of artwork that I produced starting on day one of my transformation journey. I carried blank squares of illustration board, markers, and colored pencils in my purse at all times. Whenever I was stressed, frustrated, anxious, excited, or sad, I would doodle--nothing in particular--just random, whimsical stuff. One day I even glued some dry beans on a board. As I look back, this little art project helped keep my mind focused on the goal of getting my health back, especially during times of crisis and overwhelming stress. It sure beat turning to candy bars and chips! This journey has been one of the most rewarding adventures I’ve ever done in my life. I knew that eating for health would transform my life, but I had no idea “how much” I would change. I am excited to see what my blood work will reveal at the one year anniversary of Transformation as a result of changing the foods that I put into my body. Interestingly, I wrote the prologue to Transformation on July 3, 2008, and today is April 3, 2009; exactly nine months later. I feel like I’ve just delivered a new baby, and her name is Health! Please stop back for a visit in July to view the one-year anniversary update. Greetings to all! If I could do cartwheels, I would post a video of me doing them today! Last week I had my blood drawn, and I just returned from a physical exam by my family physician here in Fort Wayne. I am healthy! Notice that even my skin is healthier. I now have a “carotenoid tan” from flooding my body with phytochemicals and nutrients instead of addictive, low-nutrient food. My family doctor noticed that my abdominal skin, after losing so much belly fat, retracted back to normal; which he doesn’t typically observe that with patients who lose a lot of weight. He also commented that I’ve taken at least fifteen years off my age. Thank you greens, beans, fruits, nuts, and seeds! Thank you, Dr. Fuhrman, for blazing the trail to get America’s health back! Food really is an artistic medium to restore the body to its original design and function. My highest weight in June 2008 was 238 lbs. My lowest weight a year later is 139 lbs. Today, I weigh 139 pounds. My blood pressure is 110/68. My waist is 31" (50" a year ago!). My fasting glucose is 80; total cholesterol 157 and body mass index is 21.5 (down from 35). The following nutritional diseases are gone: coronary artery disease (CAD), hypertension, pre diabetes (soon-to-be diabetes), angina, shortness of breath, chronic fatigue, and painful boils. These nuisances are also gone: snoring, low back pain, bloated abdomen, puffy fingers and face, buffalo hump of fat at the back base of my neck, stiff and achy joints, heel cracks, immobility, brain fog, hangovers, depression, anxiety, and nothing pretty to wear. The following assessments were documented in my medical records by the family physician: obesity, hyperlipidemia, hyperglycemia with history of gestational diabetes, glucose intolerant, and hypothyroidism. 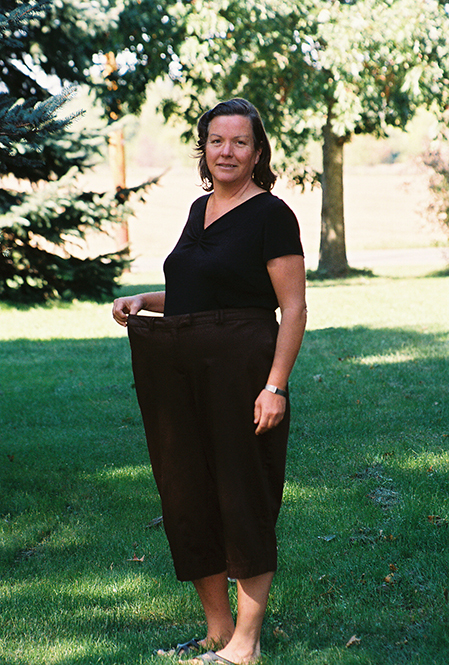 “Patient is obese and unable to lose weight. She is very scared about having high cholesterol and diabetes, and she feels wiped out and has no energy. Food truly is an artistic medium! Obesity not only cloaks the body with layers of burdensome fat; robbing one’s quality of life and health, but shrouds the mind with shame and embarrassment. The images below were taken by fine art photographer, Jeff Crane, in Fort Wayne, Indiana, to document the one-year anniversary of Transformation. “Seeds of compromise sown into the soil of our lives will reap a harvest of addiction. "The girl who looked back from the mirror was a total stranger, yet she had always been there, waiting." I am now 100% convinced that if the right foods are eaten, the human body can become the significant work of art that it was originally designed to be. "Only in excellent physical and emotional health can a person's full human potential be realized. by the shackles of her food addictions, now set free. I am very proud of her." I am grateful for Joel and Lisa Fuhrman. In 2002, soon after my 11-year-old son was diagnosed with Type I diabetes, I was searching the Internet for anything I could find on reversing diabetes. I discovered an article written by Dr. Fuhrman. Soon afterward, Eat to Live was published. However, I incorrectly assumed that it would be impossible to change my eating habits . . . so I didn’t. Unfortunately, it took another six years of suffering before I was ready. As a result of their dedication to educate the public, I now have a new life!